Gambhirgad Fort ( Marathi: गंभीरगड ) is a fort located 58km from Dahanu, Palghar district, of Maharashtra. This fort is less important fort in Palghar district. The fort is in ruins and restoration is to be done. Gambhirgad Fort was part of Jawhar State. When Jayabha Mukne became sole master of Jawhar, He gave the gambhirgad fort to a Warli chief. Latter it was owned by Jawhar State government. 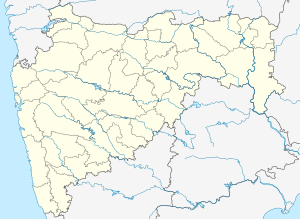 The nearest town is Kasa which is 26km from Dahanu. The base village of the fort is Patilpada which is 32km from Kasa. There are good hotels at Kasa, now tea and snacks are also available in small hotels at Saiwan. The trekking path starts from the hillock south of the Patilpada. The route is very safe and wide. There are no trees on the trekking route. It takes about an hour to reach the entrance gate of the fort. There are water cisterns, small temple and a bastion on the fort. It takes about an hour to visit all places on the fort. ^ Elison, William (2018). The Neighborhood of Gods: The Sacred and the Visible at the Margins of Mumbai. University of Chicago Press. ISBN 9780226494906. 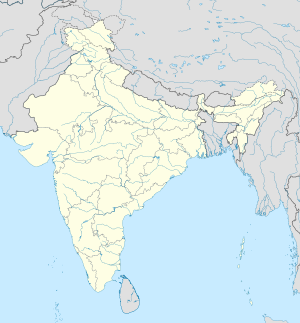 ^ Gazetteer of the Bombay Presidency: Tha'na (2 pts.). Government Central Press. 1882.